M.B.B.S, M.D. (Medicine), D.M. (Gastroenterology), H.O.D and Senior Consultant, Centre of Liver and Digestive Sciences. 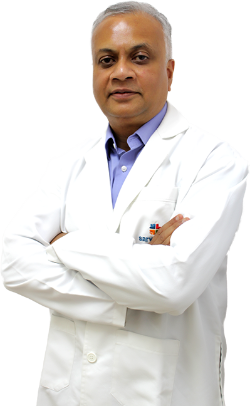 Liver Transplantation, Chronic Hepatitis B & C.
Consultant Physician and Gastroenterologist in Armed Forces for over 20 Years. Transplant Hepatologist Since 2003, Liver Transplant Team (AHRR). MD Medicine & DNB Gastro Examiner. Indian Society of Gastroenterology (ISG). Indian National Association For Liver(INAL) AP. Director Organ Donation Program of Armed forces.